At the heart of the process of bringing these breath-taking intergalactic species to life was Academy Award-winning make-up artist Joel Harlow. Together with his team of amazingly talented creatives, Harlow set to work on creating aliens from over 50 different races for the film and documented the entire creative process for each one in exhaustive detail, from preliminary sketches to final make-up application. Star Trek Beyond: The Makeup Artistry of Joel Harlow presents the extraordinary work done by Harlow and his crew. Featuring fascinating pencil sketches, stunning concept art and beautiful photography, this visually arresting book gives fans a unique in-depth look into the remarkable work that went into this immensely popular movie. 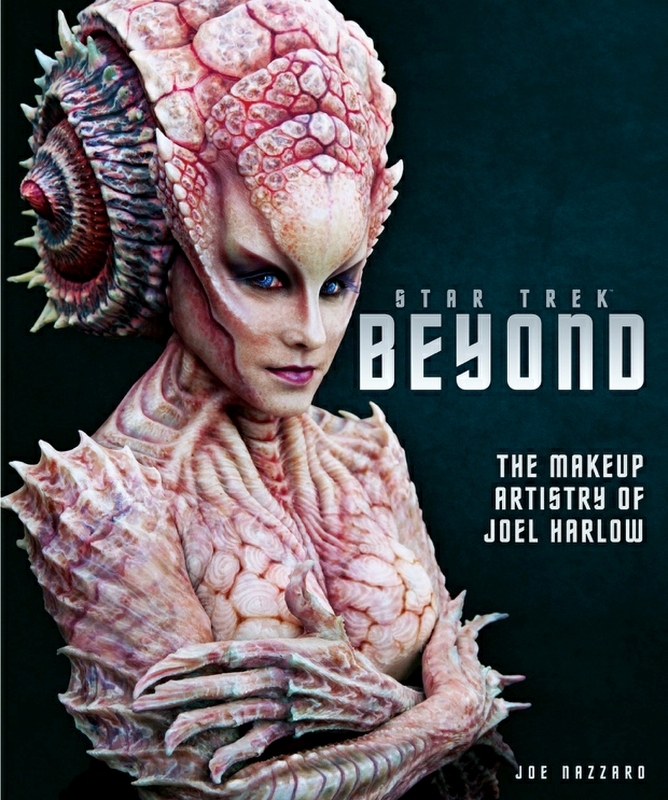 Beautifully presented in a hardback art book with full colour images throughout, Star Trek Beyond: The Makeup Artistry of Joel Harlow will delight both fans of the Star Trek franchise and those interested in the art of Hollywood makeup FX. Author Joe Nazzaro is a New Jersey/London-based entertainment journalist with more than a dozen books and 3,000 interviews to his credit. He has covered the Star Trek universe extensively for such magazines as Starlog, Starburst, TV Zone, Sci Fi Now and several licensed Star Trek magazines. He previously wrote about the makeup FX of Star Trek in Star Trek: The Next Generation Makeup FX Journal and Farscape in The Creatures of Farscape.